*I've been struggling with keeping the personal part of my blog alive and well. I've decided to take advantage of some "writing prompts" being offered by Mel Lockcuff in our Mom Spark Gold Star forum group. 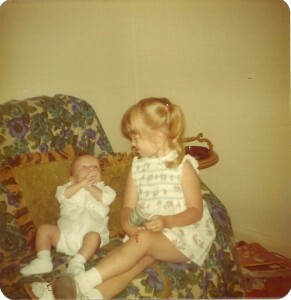 Today's prompt - Photo post w/ theme: sibling.